The nature of owning a generator is that you never know when you’ll need it most. It’s a hedge against the unpredictability of life. 99% of the time, during any given week, you won’t ever need it. But it’s that key 1% that makes owning a generator a wise decision. Owning a generator necessarily entails storing fuel, sometimes on a long-term basis. The generator won’t run without fuel. And the nature of storing fuel is that you never know when you’ll need it most, either. Which means you must take precautions to maximize the storage life of your generator’s fuel. Generators don’t go bad sitting around. But diesel and gasoline definitely do if precautions aren’t taken. Ideally, you do not want to store fuel inside of your generator, especially if it’s a gas-powered unit. Even before the majority of gasoline became ethanol-blended, this was always the advice. Some may argue this is ok because generators are supposed to have fuel shutoff valves. In reality, these may not be 100% effective. So the best advice is to keep the generator dry until you need to use. And this means you’ll need a separate fuel supply. How much fuel you will need depends entirely on how long you want to plan to be able to run your generator – how many days and for how many hours each day. They say 15 gallons is the minimum you'd need for one week of operation. But that’s a topic for another time. We’re interested in the best practices for keeping that stored fuel viable for the longest amount of time. For the best advice, it’s wise to look at what other people are doing. In this case, we can look to the Prepper population. Preppers are those in our society who have taken special survivalist measures to be ready for upcoming disasters. More specifically for what we’re interested in, preppers have some excellent advice for how to store fuel so it’s ready for emergency use – whether you need it around to power your backup generator or you need to get your family to your bugout location. Believe it or not, the consensus is that regular old plastic fuel cans are the best method for storing fuel. Probably because few people have 1,000 gallon fuel tanks buried in their back yard. You want something with a goose neck dispenser if you’re going to be dispensing fuel into a small hole. And when you store the fuel, you want to do it in an airtight place to prevent leaking of fumes. And don’t store it in your house. It’s a lot better for your shed to catch fire than it would be for your house to. Use of a fuel stabilizer for gas or diesel is a universal recommendation. A good fuel stabilizer can double or triple the viable life of the generator fuel you’re storing. Preppers will tell you that stored diesel fuel without any additives can be counted on for about 12 months. But that’s only if the climate is temperate – around 70 degrees. The hotter it gets, the shorter the time limit. In our home state of Florida, the same fuel will probably only last 6 months at the most. So a fuel stabilizer is essential if you want the fuel to be viable for anything longer than that length of time. Preppers all talk about the importance of fuel rotation. You might have 4 storage cans of fuels. The idea is to use the oldest can in your vehicle every 6 months, replacing it with new stored fuel. Then use the next oldest can 6 months later. This keeps all your stored generator fuel fresh and ready to go. Generator Fuel Tank Cleaning - When's the last time you did it? This post was published on July 28, 2016 and was updated on December 15, 2016. 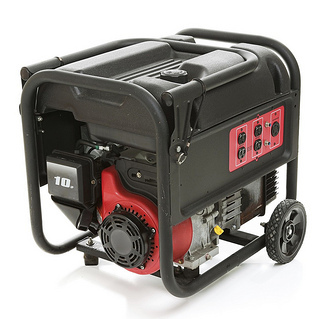 Can I Use Last Year's Gas in My Generator?